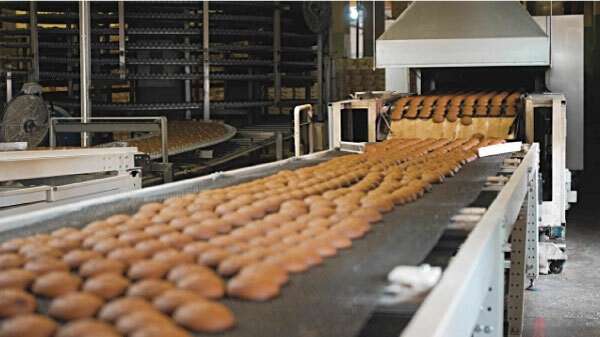 There are tens of thousands of facilities in other segments of the food industry using compressed air. 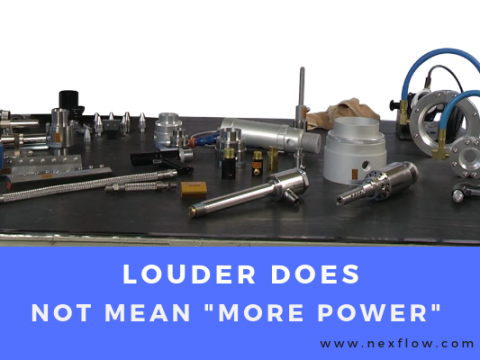 Some, like bakeries, use this technology for blow-off applications. Other segments use them to clean containers before filling. 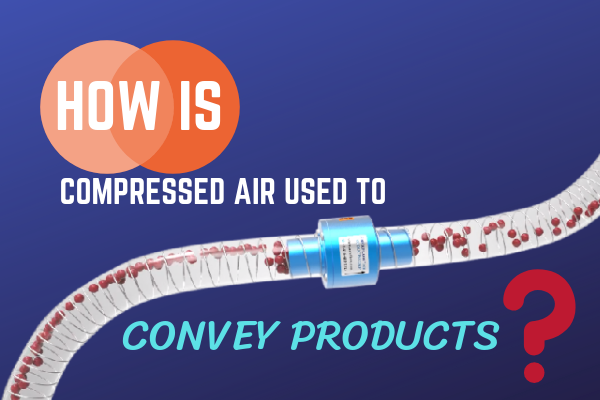 Additionally, compressed air is also used to sort, cut, shape and convey food products. Another applications are in form, fill and seal operations for cartons. Because these machines must be cleaned thoroughly and regularly to maintain sanitary standards, through washed-down pneumatic systems are preferred since hydraulic systems can have oil leak issues. Pneumatic also has much less downtime and maintenance needs than hydraulic systems. Compressed air is very important in the food industry, both for food processing and in the packaging operations. The air must be contaminant free to ensure food quality and protection. 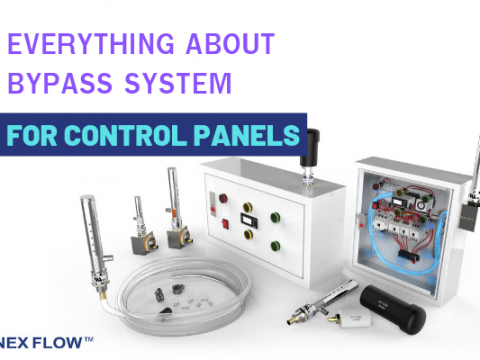 There are standards in all developed countries to have a maximum micron content in filtration and also for dew point control. Dew points of the air at line pressure must be under minus 15 degrees oF (-26 degrees oC) to inhibit growth of microorganisms and fungi. Some filtration companies, therefore, specializes in filters that meet particular standards of filtration necessary for various processes within food production facilities. It is not only particulate but also oil which can be a concern. 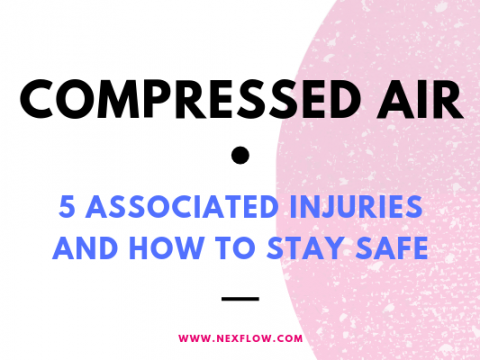 Where necessary, oil- free compressors are used to supply the compressed air. Compressed air must be purified of contaminants before use in the food industry. The contaminants are water vapor and moisture, solid particulates (including spores) and oil aerosols and vapors. 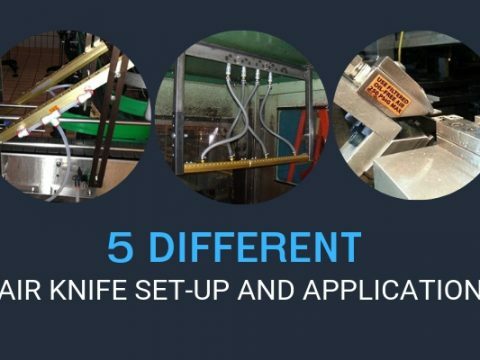 Moisture can often be trapped in the piping system near the point-of-use in applications where compressed air comes into contact with food products. Microorganisms and fungus can grow inside the piping system and then be blown into food products or containers. Drying the air to a specified pressure dewpoint is the simple way to eliminate moisture in the system. The dew point specification can vary from +37 oF (+3 oC) or -40 oF (-40 oC). 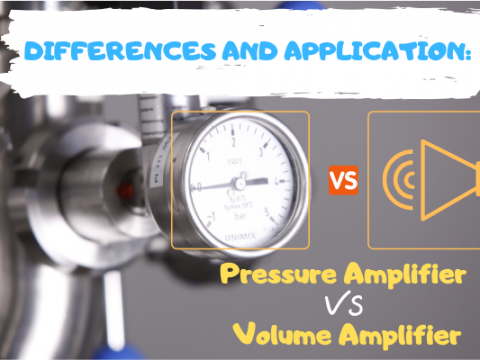 In some facilities, both of these specifications may be used depending upon whether compressed air has any possibility of coming into contact with food products. 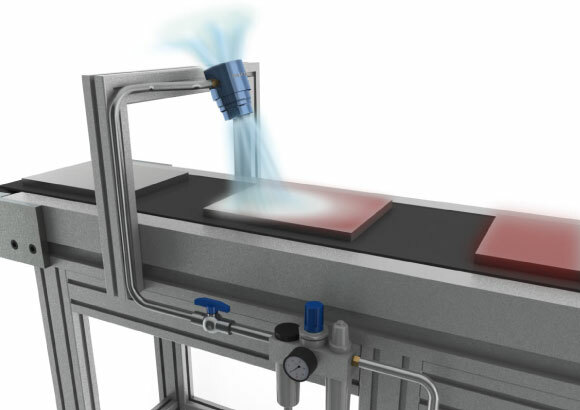 Contact application is when the compressed air is used as part of the production and processing including packaging and transportation of food production or if compressed air comes into direct contact with actual food products. 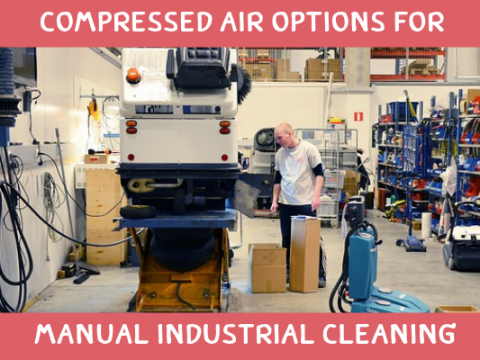 If this is the case, the compressed air needs to be purified to a higher standard than for non-contact applications usually to the -40 oF (-40 oC) dew point, with oil free air and very fine filtration to keep out particulate. 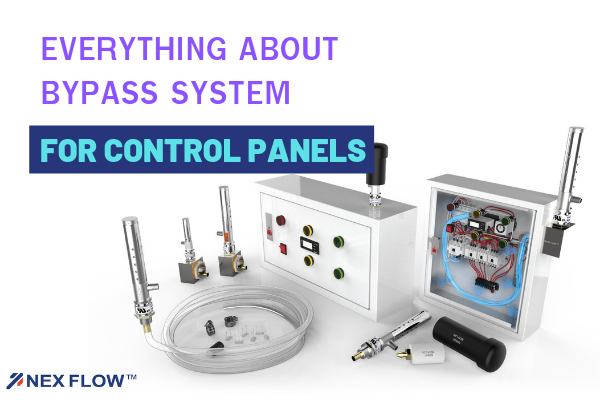 One way to accomplish this is with desiccant (adsorption) type compressed air dryers located in the compressor room (centralized air treatment). Each facility can determine if further point-of-use air dryers (de-centralized treatment) are needed. Point-of-use air dryers may be of either desiccant (adsorption) or membrane-type technology. Another way to purify the compressed air is by using coalescing filters will remove solid particulates and total oil (aerosol + vapor). 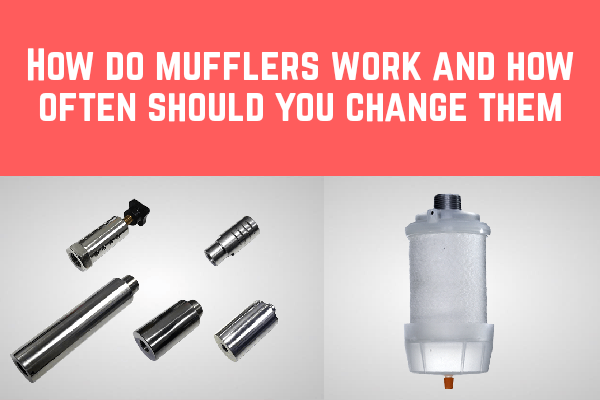 Activated carbon filters are usually required as well to remove oil vapors. As with the air dryers, de-centralized filtration may be needed in addition to the centralized filtration system. 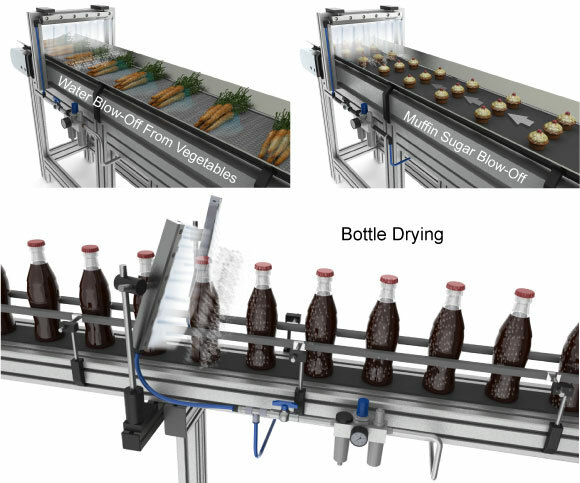 Food plants are ideal applications for the use of engineered nozzles and air knives. These are used to blow off on a product and in packaging applications. 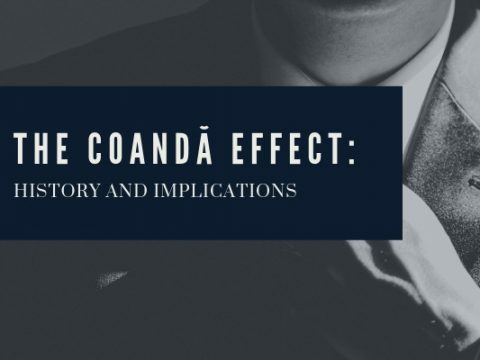 These accessories conserve compressed air consumption by utilizing the Coanda effect to entrain surrounding atmospheric air along with the compressed air and create a high velocity, high flow, and a high energy stream of air. 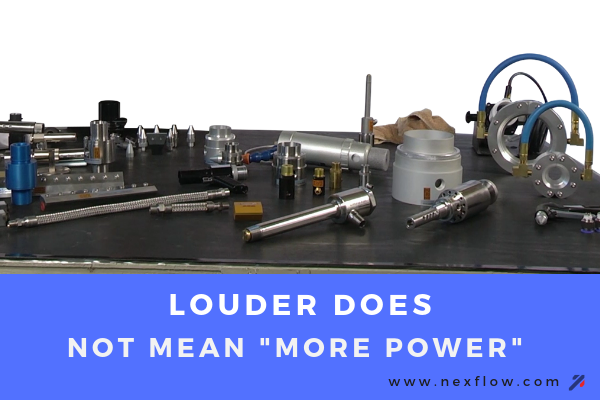 This air “amplifying” technology not only reduces compressed air energy consumption it also reduces noise levels and have a dead end pressure under 30 PSIG to meet OSHA safety standards on open compressed air exhaust contact. Non-Contact applications can be categorized into high risk or low risk. 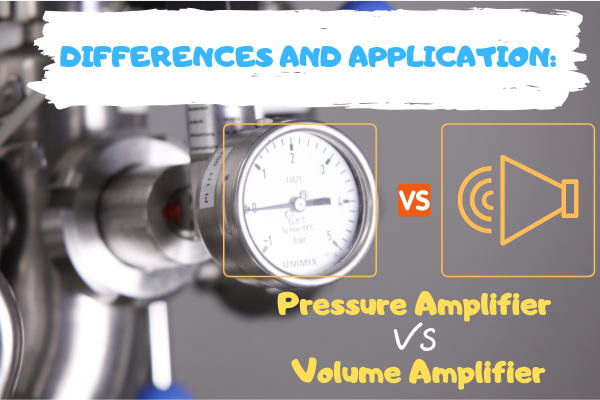 This is when the compressed air is exhausted into the local atmosphere of the food preparation, production, processing, packaging or storage. 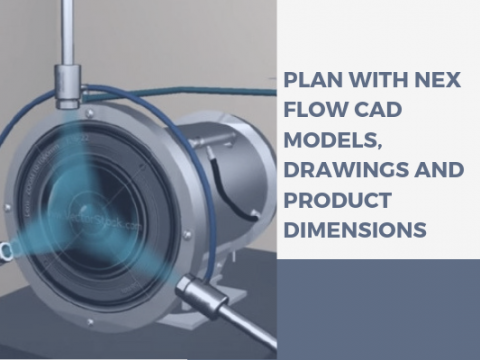 Example of a high risk application is where compressed air is used in a blow-molding process to create a package –then product is put into the package at a later time. Many food processors have their own in-house production lines to create their own packaging. 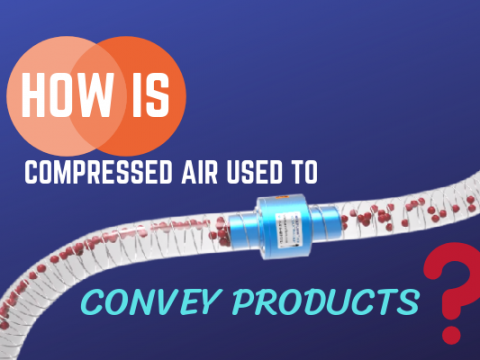 If there is a delay in the use of the packaging, oil, moisture, and particulates (notably bacteria) could be present if the compressed air is not pure enough. Hence the higher standard for cleanliness. In low risk applications higher dew point may be acceptable using a centralized refrigerated type compressed air dryer. Additional point-of-use air dryers (de-centralized) may still be required. 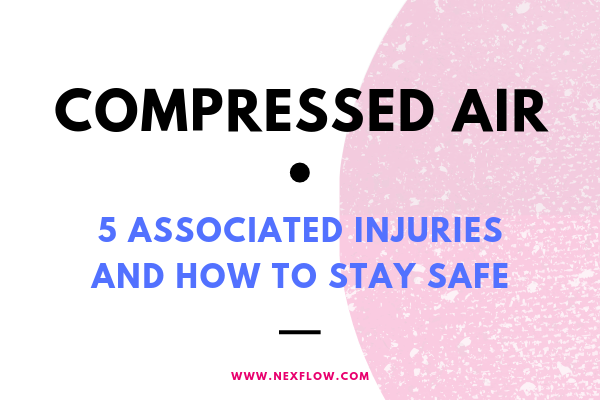 Significant portions (often over 50%) of compressed air in a facility will have absolutely no contact with food products or food-packaging machinery. In this case less costly methods for air treatment are acceptable. Refrigerated type compressed air dryers normally have significantly lower energy costs than desiccant air dryers. 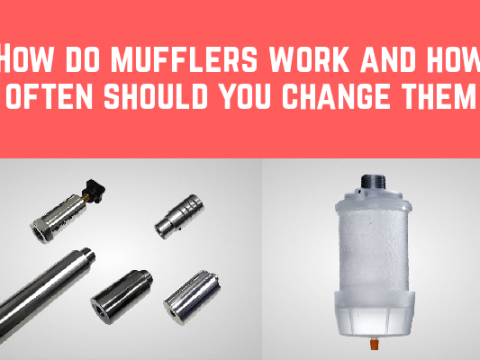 Coalescing filters are required to remove solid particulates and total oil (aerosol + vapor) to the same specification levels as in contact applications and activated carbon filters will be required as well to remove oil vapors. As with the air dryers, each facility can determine if de-centralized filtration is required in addition to centralized filtration.